Folk rock fans, rejoice! 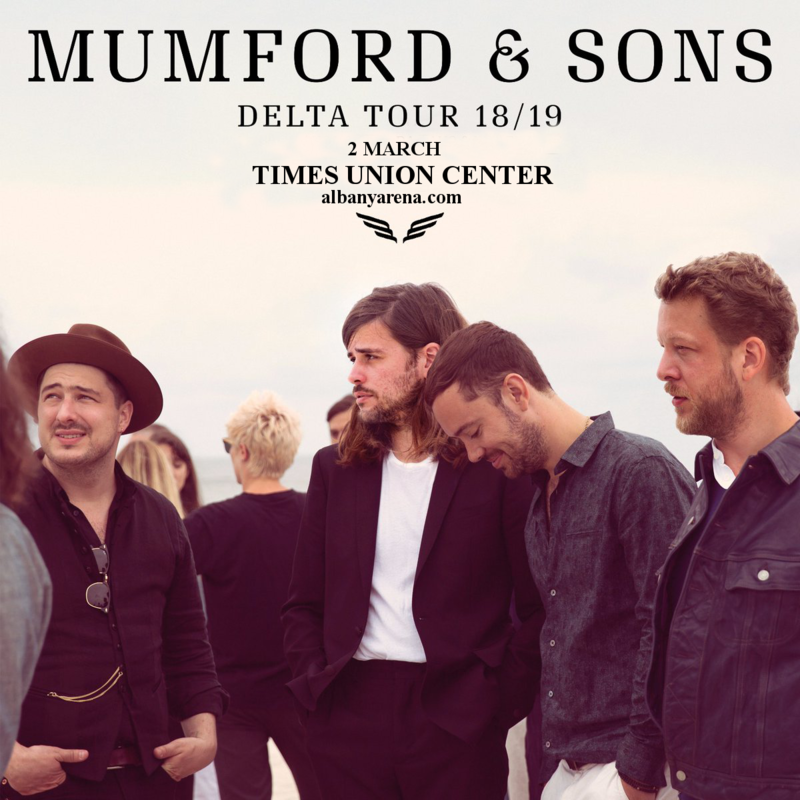 The leading band of the genre, the amazing Mumford and Sons are on tour in 2019, heading to the Times Union Center on Saturday 2nd March 2019! It’s an unmissable show for any Mumford and Sons fan – get tickets while they last!! Mumford and Sons’ new album, “Delta” released on 16 November 2018, is both a new direction for the band, and a return to some aspects of their roots. While it has electronic and jazz elements to it, the album also features folk instruments that were absent on their previous album. It’s opened up a whole new world for fans too – and that world’s about to get bigger on March 2nd with their live show at the Times Union Center! Get ready to experience all the songs from the new album live – get tickets NOW!